In the United States, every winter, nearly 20 billion dollars worth of energy escapes out of the windows - specifically, double-paned insulating windows installed on most of the buildings. At present, the Department of Energy’s Lawrence Berkeley National Laboratory (Berkeley Lab) has collaborated with manufacturers to make a “super window” commercially available, where the window is at least twice as insulating as 99% of the windows in the market and will be ready to realize mass-market status. The use of the “thin triple” super window design increases the thermal performance of prevalent Energy Star-rated double-glazed windows by two times and is seven times more insulating when compared to a single-glazed window. Researchers from the Berkeley Lab have developed and tested prototypes in the lab and have now collaborated with Andersen Corporation, the leading window and door manufacturer in the country, and separately with Alpen High Performance Products, specializing in energy-efficient doors and windows. The aim of both collaborations is to develop and test optimized prototypes appropriate for large-scale manufacture. Our approach is to attack the problem from two sides: to develop both ‘market pull’ and ‘technology push’ forces. We are working with manufacturers to assist them with their technology challenges while also working with Energy Star, supply-chain companies, and utilities, which can offer rebates and incentives for consumer purchase. Our role is to be a catalyst in facilitating technological innovation and an evangelist in promoting DOE’s energy-efficiency mission. Berkeley Lab has long years of expertise in developing innovative green building technologies; for instance, recently, it showed that controlled lighting and shading can be adopted to save energy and is striving to make net-zero energy homes a reality. 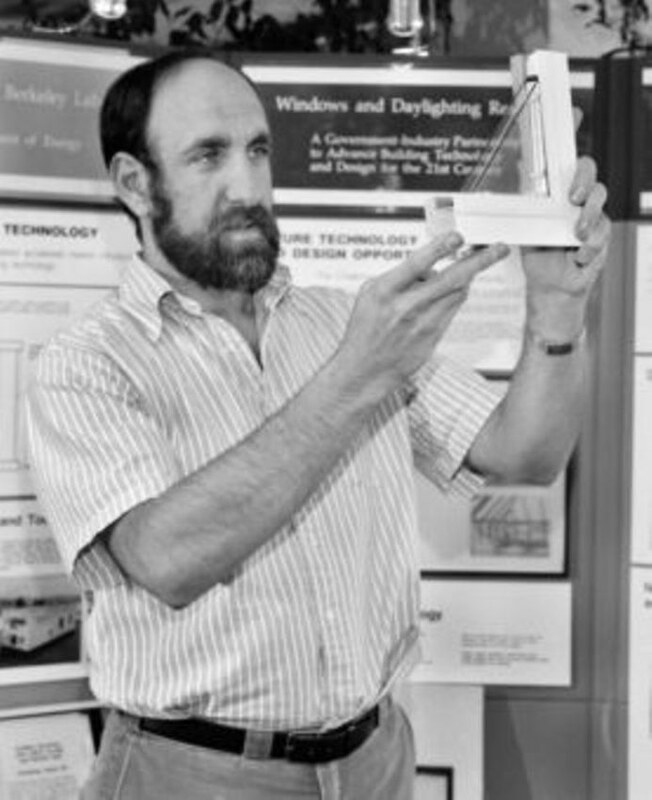 Studies on high-performance windows were started at the lab as early as the late 1970s when the oil crisis led to a search for innovative ways to save energy. At the time, scientists from the Berkeley Lab offered their technical support for a brand-new product - a low-emissivity (or low-e) window coating that blocks long-wave infrared rays - to achieve mass-market status. Later, low-e coatings went on to save billions of dollars in energy costs for the country. Selkowitz is confident that the new thin triple super window could save much more. In prevalent double-glazed windows, there are two layers of glass with a low-e coating, and argon gas is filled in the gap between the layers to enable additional heat transfer reduction. The super window developed at the Berkeley Lab provides threefold benefits: A third layer of very thin glass is sandwiched between the two glass layers of a double-glazed window, a second low-e coating is added, and the argon gas is replaced by krypton gas, which has considerably higher insulating properties when compared to argon in the very narrow space between the panes. Although various other triple-glazed windows are found in the market, the attribute of the super window is that its width and weight are virtually the same as prevalent double-glazed windows. This eliminates the need to redesign the window sash and frame, which would present as a major cost obstacle to market penetration. Annually, energy use related to all aspects of window performance, such as heating and cooling, costs U.S. building owners nearly 50 billion dollars. The single major contributor to building energy use is loss of heat in colder climates. In warmer climates, uncontrolled sunlight that penetrates through windows increases the air-conditioning costs. For many years, the ultimate goal of researchers at the Berkeley Lab was make windows to outperform insulated walls during winter. They are confident that their thin triple super window will help realize that goal. In fact, the super window was invented and patented by Berkeley Lab more than two decades earlier. However, back then, there was a lack of viable sources of large sheets of super thin glass, and the cost of materials rendered it highly expensive to realize. The thin glass is 0.7 mm thick. Twenty years ago we couldn’t find any companies that could make thin glass sheets in volume. Now the flat screen TV industry has pushed the glass industry to create precisely the glass we need for windows, and at a price the window market can afford. Although the principal focus of the super window is to save on winter heating costs, the low-e coating can be tweaked to make it more useful for summer cooling. For northern climates you want the coating to be as transparent as possible. For the same window in Phoenix, you want a spectrally selective coating that keeps out the heat from sunlight, but that you’re still able to see through. Berkeley Lab manages a global database of 5,000 glazings and coatings on the market today; one of our tasks for DOE is to come up with the optimal selection for a super window in each climate. The super window is distinctive from “smart windows,” such as electrochromic windows, which automatically stain according to sunlight to prevent overheating of building interiors, thereby reducing cooling costs. Berkeley Lab has also achieved breakthroughs in this technology, such as a nanocrystal material with the ability to dynamically manage the intensity of sunlight when it passes through a window, an innovation being developed by a startup, Heliotrope, at present. However, electrochromic windows, with a cost at nearly five to eight times that of the super window, are regarded to be a high-end specialty item and have just started to hit the markets. In contrast, the low-e coating is being used now in almost 90% of all windows sold. According to Hart, the difficulty in reaching this point was not only the scientific innovation in coating design but also breaking the marketplace obstructions. For the case study, researchers at the Berkeley Lab created lab and field test facilities to evaluate the window energy efficiency, and also offered design and validation software tools used by industry and a nonprofit organization, the National Fenestration Rating Council, for rating the windows. Low-e coatings have saved 150 billion dollars for the country in energy costs in homes, than a base case with traditional double glazing. This study was supported by the Department of Energy’s Building Technologies Office.